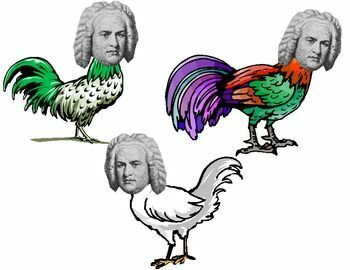 Today’s post is the fifth in the Coffee Squawk series, featuring one member of our Thundering Chicken clutch …in an effort to understand: Who are we chickens? Who are we? Hatched How? : My mom is an Associate Professor, so…. A Seasoned Chicken: Kevin graduated from Alderson-Broaddus University with a degree in music and vocal performance and then worked for the American Mountain Theater…wait for it…Kevin is a gifted musician. “I grew up in a performance family…it’s just what we did. I remember participating in a church talent show and that’s kind of when I realized, first hand, the impact that music and performing can have on people. [applause] Kevin is a quick chicken to point out the power of music! Not Waiting by the Side of the Road: Kevin’s goal is to join a military band, to perform regularly…to relocate and even do some solo stuff. Chicken Feed: “You are responsible for yourself.” ‘Nuff said. A Little Bird Told Me: Kevin is a real fitness geek. And...we know he’s crazy-fun-n-feathers to play cards with! < Previous How Funky Is Your Chicken? How Loose Is Your Goose? Next > You So Have to Check This Out…TODAY!